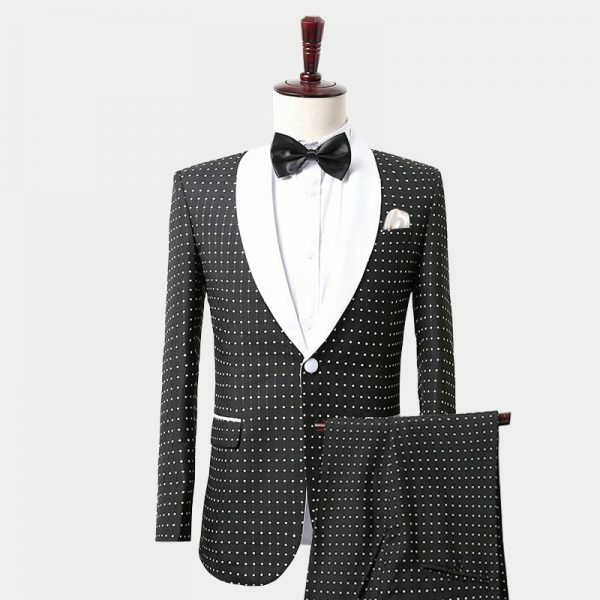 Pairing them with a classic black bow tie, crisp white shirt, and vest creates a time-honored look. 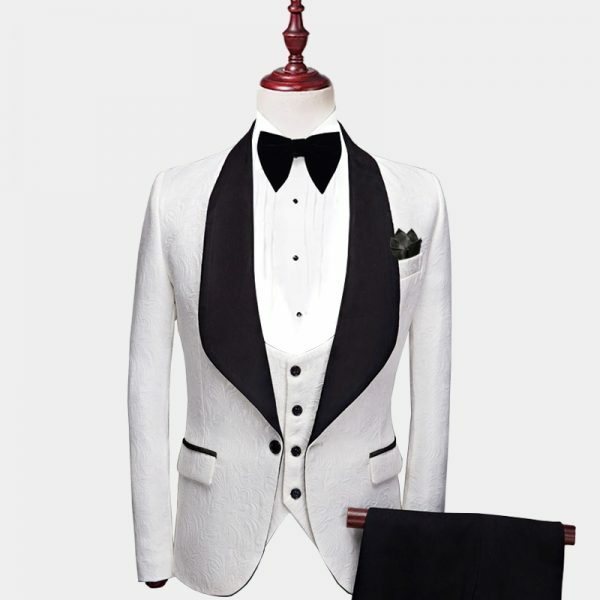 If you really want to "put on the Ritz", add a top hat, white gloves or a dress cane. 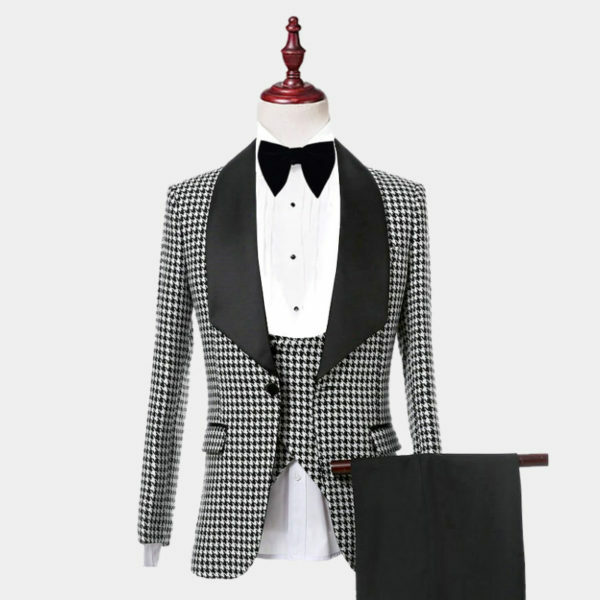 These sophisticated touches make you stand out and set you apart in a white tie affair. 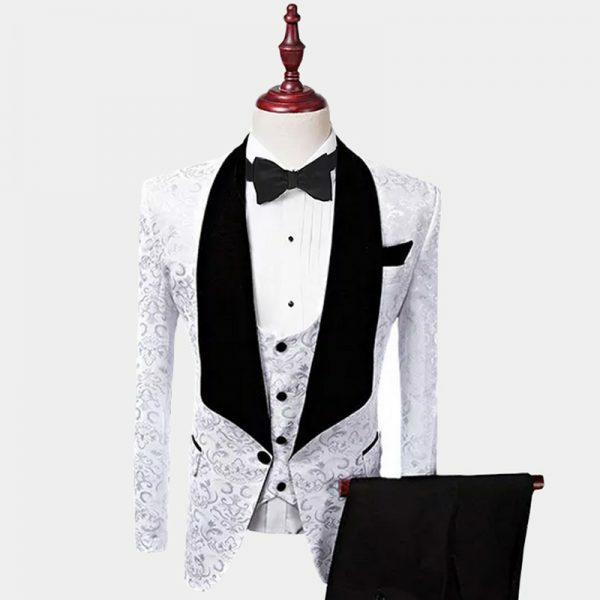 White tuxedos suits or jackets are also popular for proms and homecoming, they create a sense of luxury and abundance. 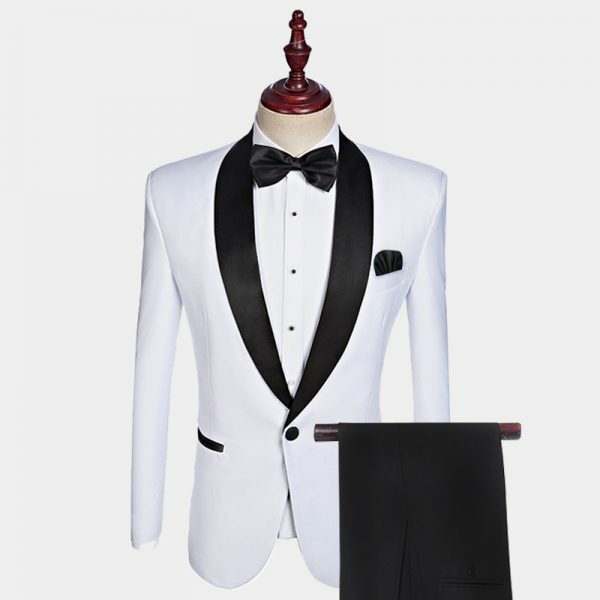 Choosing cotton or velvet white tuxedos with black satin lapel make the right impression. 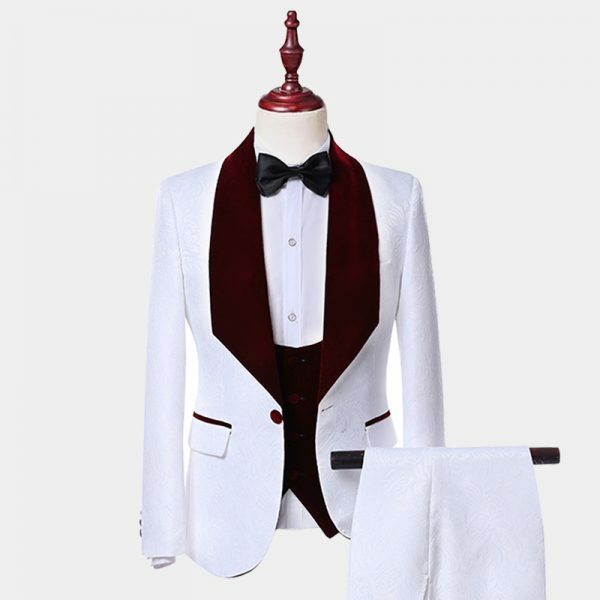 Selecting the right white tuxedo to add to your formal wear may seem like an easy choice. However, there are some basic rules you should follow. 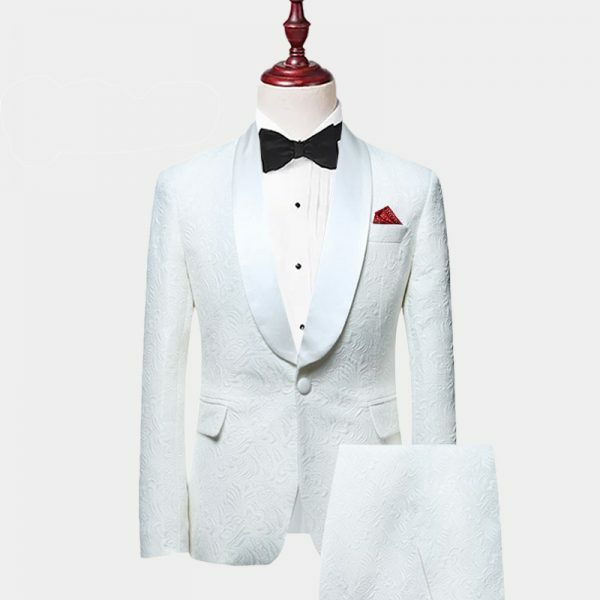 Choosing a peaked collar or shawl lapel white tuxedo without a pattern is key. 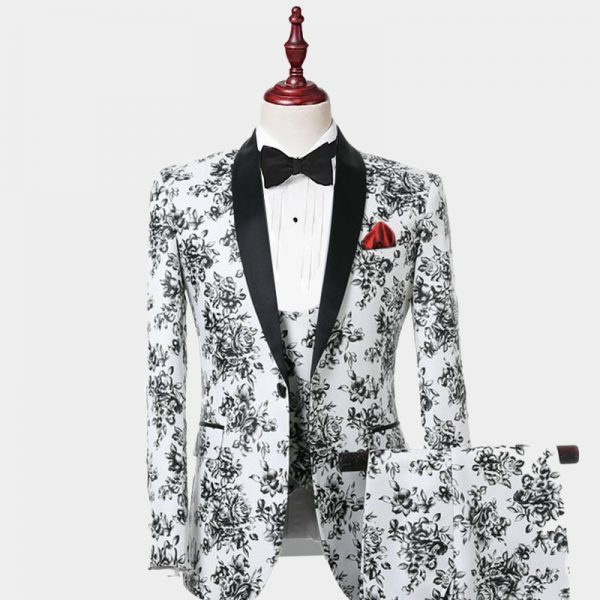 If you are going to spend the time and effort to look your best, don't spoil the look with a cheap tuxedo. 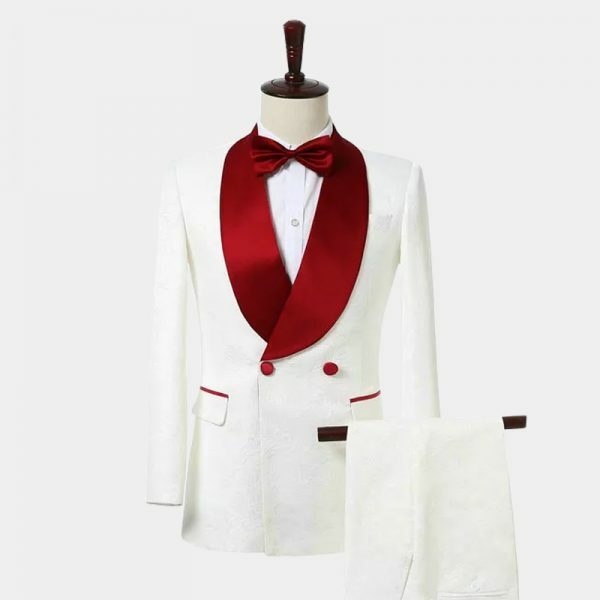 Buying white tuxedos online is easy when you shop Gentleman's Guru.